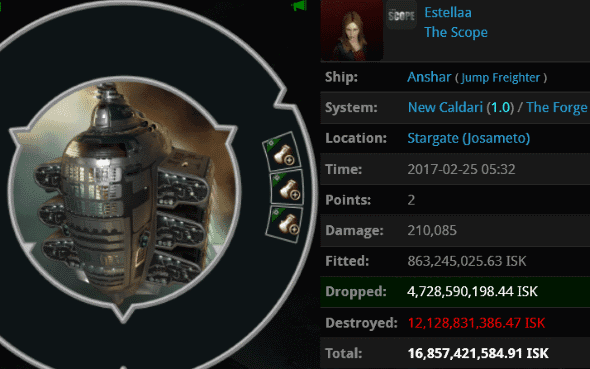 Previously, on MinerBumping... 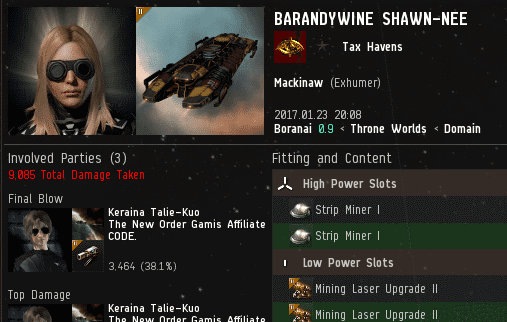 Agent Kalorned ganked BARANDYWINE SHAWN-NEE, a five-year veteran of EVE who chose to spend her days mining in 0.9 security systems without a permit. 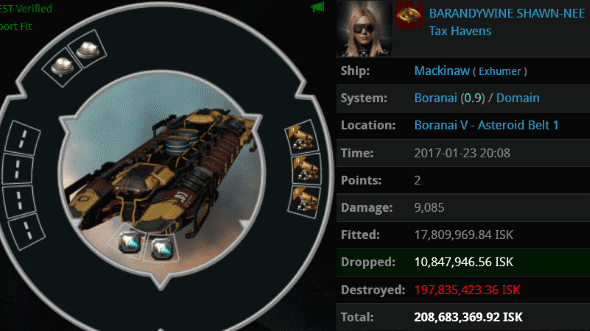 Incensed by the gank, BARANDYWINE verbally abused Kalorned and then sent a convo request to Agent Svara Eir, the Reimbursement Officer assigned to the case. 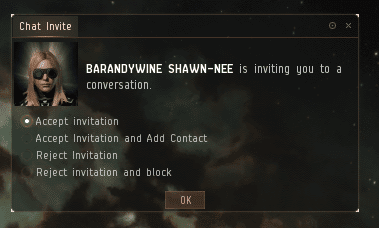 For many EVE players, a sight like this can be a little intimidating; you never know what's going to happen when you accept the invitation. But Agents of the New Order are absolutely fearless. Besides, they like to give people the benefit of the doubt. They assume the conversation will be a friendly one. 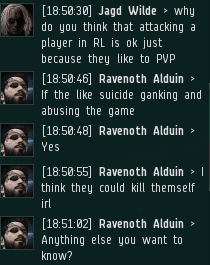 A convo like this is an opportunity to meet a new player and connect with them on a personal level. ...But bot-aspirants only care about material things. Unfortunately, BARANDYWINE's addiction to all-caps carried over from her earlier conversation with Kalorned. 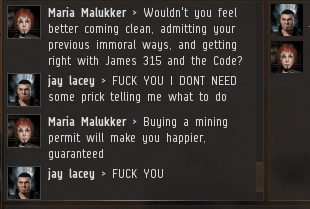 The miner was only willing to put the bare minimum of effort into the conversation. She wanted her Retriever loss reimbursed. She wasn't interested in getting PvP advice. 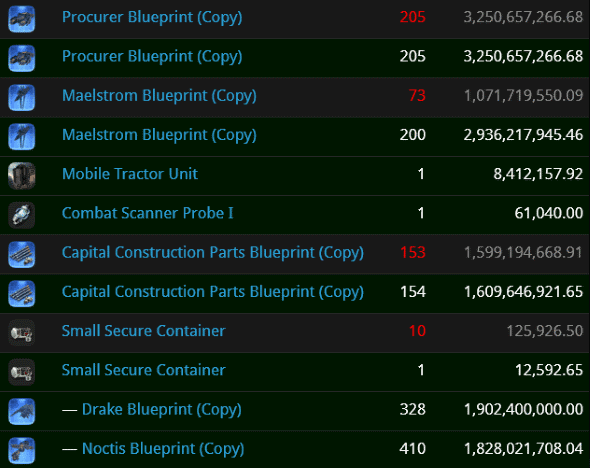 Agent Svara was in a particularly generous mood. 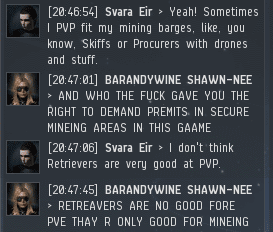 She tentatively planned to reimburse BARANDYWINE's Retriever without digging too much into the details of the gank. 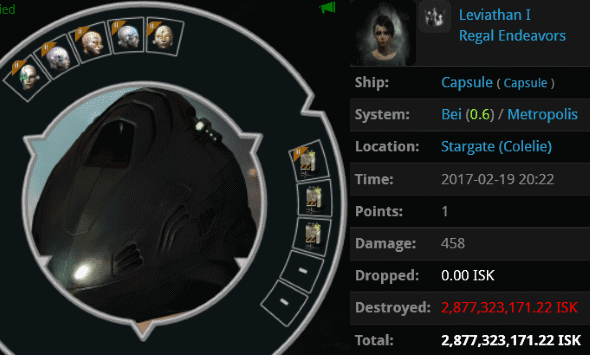 Of course, she'd need a lossmail to substantiate the loss. Red flags began flapping in the wind. 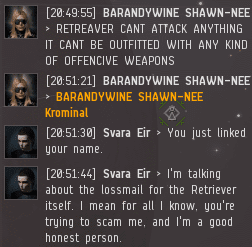 Instead of linking her Retriever loss, BARANDYWINE linked the name of her own character and Agent Krominal, one of the gankers. 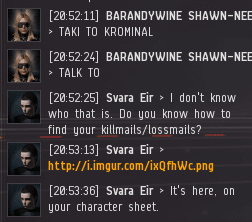 Despite having played EVE since 2011, BARANDYWINE had no idea how to find her killmails and lossmails. The ever-helpful Svara taught her how to locate them. She wanted so much to help the miner get reimbursed. 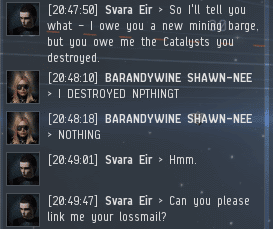 After a few minutes, BARANDYWINE finally discovered the lossmail. But there was a bit of a hiccup. Agent Kalorned's friends had ganked BARANDYWINE's ship, but it was a Mackinaw, not a Retriever. 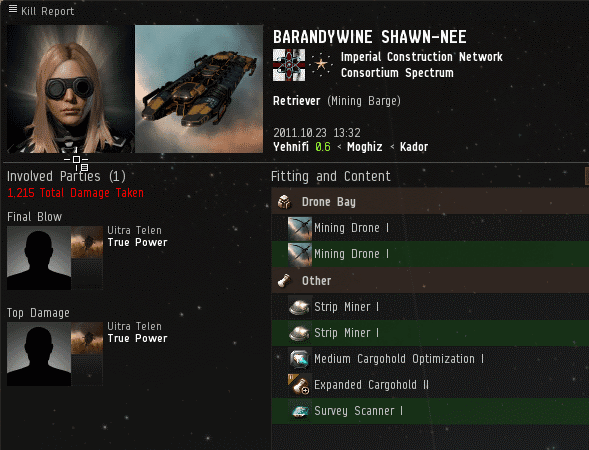 So why was BARANDYWINE trying to get a Retriever reimbursed? Retrievers, of course, are worth much less than Mackinaws. Something was fishy here. The most likely explanation was that for some reason, BARANDYWINE repeatedly misspoke--that she hadn't intended to mislead the Reimbursement Officer. 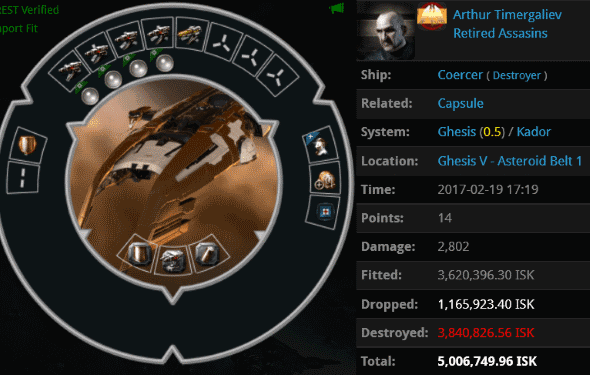 Then BARANDYWINE linked a Retriever lossmail. The whole situation started to look shady. Svara Eir became visibly uncomfortable. 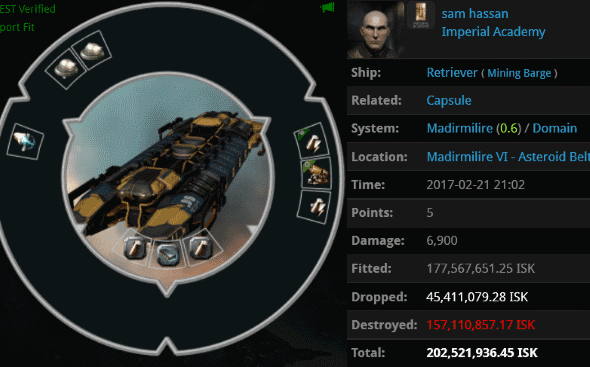 The miner linked a Retriever loss, but it was an odd one. The Retriever was destroyed all the way back in October 2011. And it was killed by NPCs. Thus far, Svara had been almost unbelievably accommodating to BARANDYWINE. Now she was on her guard. 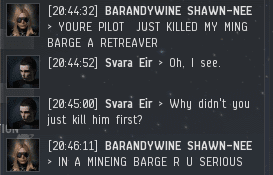 One way or another, Svara was going to get to the bottom of this. The only thing more disturbing than a lying carebear is a carebear who tells the truth. 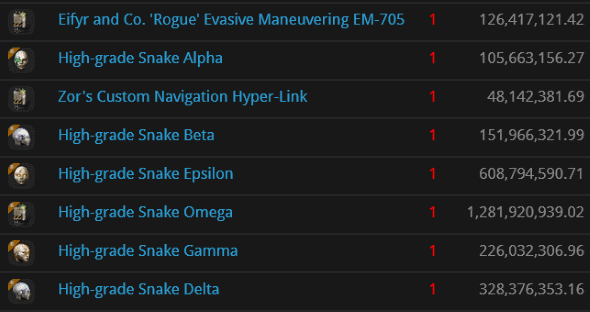 On that note, welcome to the latest edition of the Highsec Miner Grab Bag! Usually they say they were AFK "making dinner". I wonder how many actual attorneys have been hired to look into the New Order. Apparently they all determined the Code is on solid legal footing. 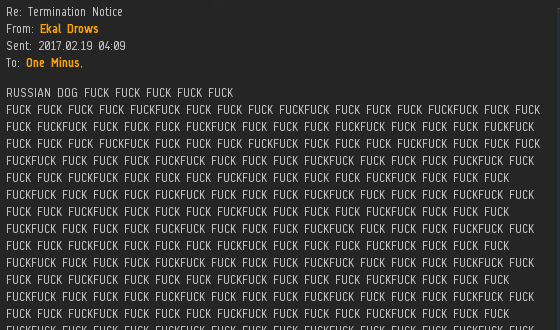 Being a CODE. 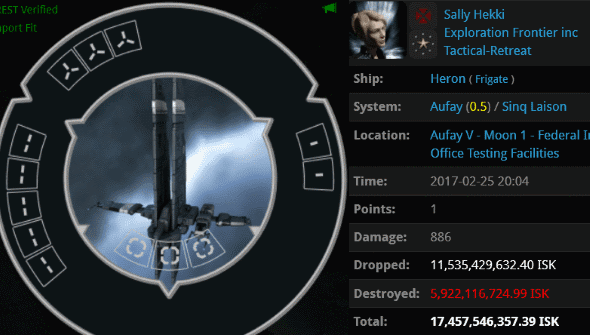 diplomat may seem glamorous--and it is--but it's also a lot of hard work. It's interesting that there aren't any civil rights leaders who started out as highsec miners. By contrast, it's likely that many of the current generation's brightest lights enforce the Code in their spare time. "Newbies" say they're too new to be aware of the Code, but it sure doesn't take them long to learn the anti-Code talking points. Interesting. Some carebears compose long-winded EVEmails, while others prefer to write short, rapid-fire messages without waiting for a reply. 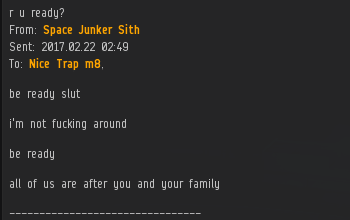 At what point do miner tears cross the line into poetry? I suppose if you're threatening Agents' families, it's still in the "tears" category. This reminds me of the old proverb: Better to remain AFK and be thought a Goofus than to type something in local and remove all doubt. 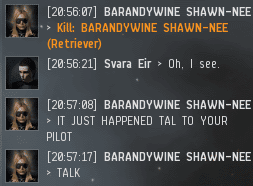 Ekal Drows thought our Agent was a dog for some reason. 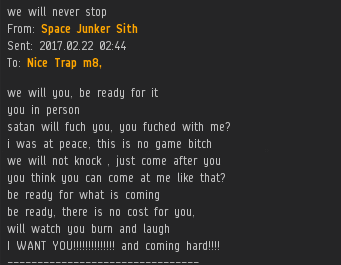 Naturally, this led to him wanting to engage in PvP. Every dog has his day, but an Agent of the New Order owns every day. 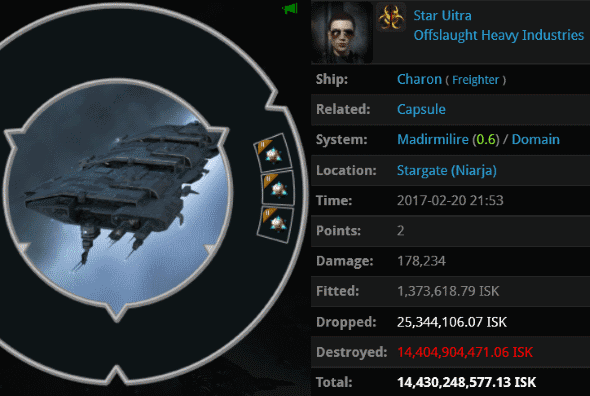 ...Just something for you rebels to think about, the next time you dare to challenge the rulers of highsec.